We are Militante, your source for the most authentic and controversial news from Latin American countries. We aim to provide news which is not necessarily covered by the mainstream media due to its controversial nature, and we also provide information without picking a side of the rhetoric. The Latin American landmass is filled with social, economic, and political issues which need shedding of light upon and thus that is what this platform aims to do. The history of Latin America is quite interesting. Some of these countries had been the richest in the world at one point. The belt was known as the ‘belt of gold’ for its richness in natural resources. However, over time various colonizing forces took over these lands and turned them into resources for their own wars throughout centuries. As a result of this these countries turned out to be some of the poorest ones in the planet. Upon receiving democracy status most of these countries did not have a stable economy which gave rise to a plethora of problems in all spheres of society and governance. These problems and the social conditions they bring with it are still very much persistent in modern day society and this is what we highlight in our content. As a tourist I knew of these problems in their large scale of existence, however they daily impact they have on the people of these countries was something I did not know about. Upon realizing how deep seated the impact of these social situations can be upon the common middle-class people, I knew it had to be my responsibility to bring them to a global audience. The image of Latin America that is presented to the rest of the world is quite far away from the reality. Looking at Colombia through the eyes of Netlfix is quite deceiving from what the conditions of the streets of Peru or Venezuela are. Hence, I set out to run this website as a source of information about the various degrading situations faced by the people of Latin America. What compelled me ever more to do so is the fact that the world powers are wholly turning their faces away from addressing these issues and therefore there is absolutely no light being shed on it. Since I am a tourist and like to travel through various lands, this presents the perfect opportunity for me to cover the entire landmass of Latin America, and also help the people in return by voicing their plight. The primary mission of this website is to present news about the Latin American landmass which is not yet open to the world. Usually our content is politically sensitive in nature, but they always express the realness of the social conditions of the countries in the Latin American belt. The world lacks news media which speaks the truth, and hence it is our primary mission to uphold the truth in front of people and allow them to judge it themselves. Refugee crisis: the current global refugee has a deep-seated hub in the Latin American countries and we aim to showcase how it affects the various strata and its different impacts. Socio-economic problems: most of these countries face heavy socio-economic problems and we report about their impacts and what is being done to curb them. Political pieces: we run political pieces on various controversial topics such as government’s roles, trade politics, globalization etc. based around the Latin American landmass. 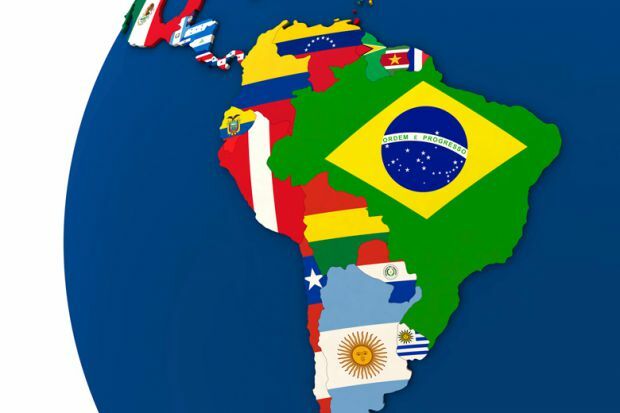 Current issues: the Latin American countries are a hub of bubbling current issues which affects society at a global scale and hence we report it. Interesting news: news which is non-political can also be interesting and have affect upon society. We cover some such pieces as well. All the information provided on this website is true to the best knowledge of the author. Usually no political sides are taken in our reporting styles unless all the evidences point to one.